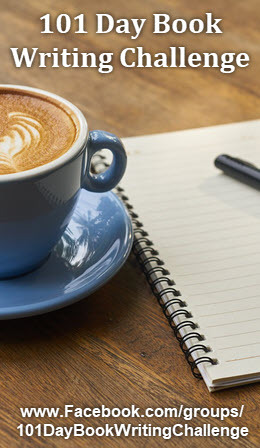 Whether you’re doing NaNoWriMo and are racing to write a 50,000 word novel in 30 days, or you simply want to establish a daily (or regular) writing routine, these writing tips will make it easier to meet your goal. There’s a difference between a goal and a commitment. A goal is something you decide to do. While a commitment is the passionate sense of dedication you feel that keeps you glued to your goal, day after day after day, until it’s completed. It’s not enough to want to write every day, or even to decide to write every day, you have to make a deep and firm commitment to yourself and to your writing if you’re going to succeed. Also list what you hope to accomplish through the completed project, whether it’s a book, a series of articles or blog posts, or something else. Put on your list how you hope your completed project will help you, as well as your readers. Read your list often. The stronger (and more deeply felt) your reasons “why,” the more committed you'll feel and the easier it will be to keep your commitment. When you get a rejection, does that fuel you to do better and submit more? The stronger your commitment, the easier it is to truly make writing a top priority and to live the above actions and attitudes as a way of life. Let the piles of paper on your desk get a little dustier… Write First! When you Write First! your world not only doesn’t fall apart, it usually goes better. It goes better because you feel good about yourself, and your writing. It goes better because things get done in the time you have. It’s one of those weird truisms that the less time you have to get something done, the more focused and productive you become. So don’t be afraid to Write First! The bigger your daily writing goal, the more likely you are to put it off. While the smaller your daily writing goal (or pieces thereof), the more likely you are to get it done. The smaller your writing goal, the most easily you’ll complete it. Even one short writing session a day helps you build a daily writing habit. 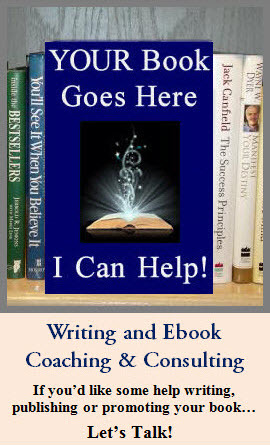 If you'd like some help staying focused and writing regularly, or navigating the details of writing and promoting your book or ebook, please visit my Writing and Ebook Coaching page. I love helping authors build a strong foundation for their writing success. #writechat wisdom: Ideas! How do you get them, choose between them & development them from beginning to end. I’m trying out a new idea, here, so let me know if you like it. Rather than post #writechat transcripts which can go on FOREVER (It’s a three hour live chat, after all, with some transcripts running up to 90 pages! ), I’m going to post some of the highlights (the tips, tools, and wisdom shared) of each week’s discussion. Today's #writechat topic: IDEAS! How do you get them, choose between them, and develop them from beginning to end? How do you get ideas, choose between them, and develop them from beginning to end?